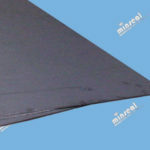 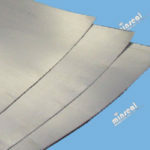 Flexible Graphite Sheet Gasket Material(Graphite Sheet, Graphite Laminate) is made with high purity flexible graphite reinforced with metallic or non-metallic inserts. 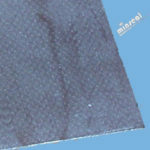 This is one of the most ideal gasket or sealing materials in the market. 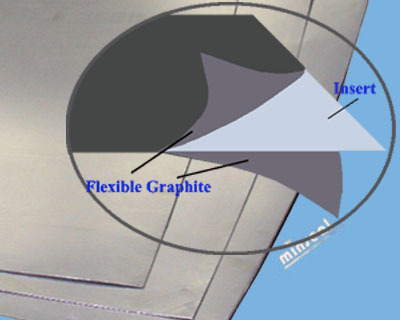 Flexible graphite provides excellent sealing properties, while reinforcement insert provides extra strength for high pressure applications, and better handling strength. 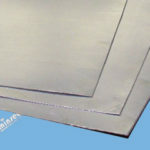 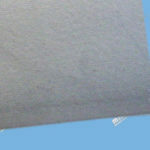 There are two basic insert bonding types: adhesive bond and mechanically bond (metal tang clinched).